The city is unique to any other place I have ever lived or visited. The strength of the community lasts through challenges and comes together when needed. 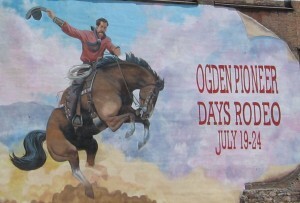 Citizens of Ogden give back to their community. Together uniting as volunteers and donating back to where we live. Individuals, businesses, foundations and other organizations pool resources to host successful events and make changes that positively impact life in Northern Utah. Our relations with other cities and especially Weber County are fragile and have been negatively impacted and together we will need to work toward opening the communications and building each other up. I often have heard that our inner city is a ghetto and that our citizens don’t feel safe. Folks we don’t know ghetto and the neighborhoods in Ogden that are often talked about as being “the bad neighborhoods” just need a nudge of leadership and someone to help them find that pride again. We don’t need to hire more police officers; we need more effective leaders leading them. We need leaders that lead by example doing what they say and saying what they do. We have an outstanding police force but they can’t do it alone. As neighborhood communities, we need to raise the bar, holding each other accountable, teaching our kids right from wrong and lending a helping hand beyond our own street. Pride in your neighborhood comes from the home and doesn’t need government intervention. Our government can help outline some goals for teaching the youth that: this is your city, your neighborhood, and your home. The developers I learned from in California and had worked with, knew that they had to work hard and that if they took calculated risk that over time they typically would do pretty darn good on their investment. Seemingly over the past ten years in Ogden real estate folks have forgotten that concept or just simply have become greedy with closed door deal making. Under my administration as Mayor of Ogden, closed door deal making will come to an end. Our open space is off limits to development and we owe future generations at least that. I am often on the trail system with my family and couldn’t imagine nor ever want to see our open space with more boxes built on it. I love the wilderness and feel the most in my element when outdoors, enjoying what Ogden has to offer, on our mountains and along our rivers. Under my administration I will support open space in Ogden and take additional steps to protect this space, as the treasure that it is. I would like to see our inner city youth take advantage of our trail system so that future generations continue to hold mother nature in the highest regard. I propose that we help Marshal White Center in many programs, including developing an Ogden Nature program so we can expose our youth to the trails and enhance their development and love for the outdoors. Respect and appreciation starts in our youth. As Tow-Mator said in CARS “you don’t know where you’re goin’ until you know where you have been.” We must Protect our History. Our buildings are precious community assets with railroad traditions that will forever be remembered along with memories of the people who contributed. As we grow forward, we need to realize we are leaving behind history for future generations to study. What will they say on how we did as a community, as comparisons thru time will be made? Our traditions of family, entrepreneurship, community and history must live strong, stronger than years past and be held to the highest standards. History is written everyday and if elected, during our administration we will hold everyone accountable to the highest standards. Ogden helped win WWII and we love our country. Many of the service men and women of the armed forces are deployed multiple times, serving selflessly as they accept their orders. We owe them and their families more. Having served in the USMC I have pride in my country and respect for those that dedicate themselves to us and our freedoms. Although we may not always agree on the conflict, we all need to insure that while on deployment NO military family loses their home, their career, their storage unit, or any other aspect of stability, while deployed overseas. Unlike many states, Utah doesn’t support our troopswith discounts on fishing and hunting licenses, tax relief, tuition assistance, drivers license renewal discounts, registration relief while deployed and many other easily achievable accommodations that would cost very little and help a whole lot. Utah as a whole has one of the lowest national military recruiting rates and that’s ok because our heritage gives back in other ways. I propose the Made in Ogden program which will grow our employment base so that men,women and soldiers can have work to support their families. The Home Sweet Ogden program needs to be revised so that military men and women qualify for the same affordable housing opportunities that our teachers and police force take advantage of. We need to do more to support our troops here at home and as your Mayor I would like to help where we can in Ogden.